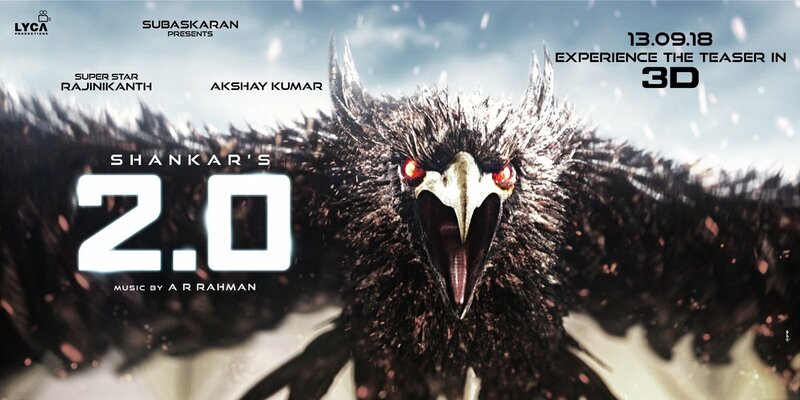 2 Point 0 Teaser In 3D? How To Watch? Official Clarification! Director Shankar's 2 Point 0 teaser is all set to release on September 13 on the auspicious day of Vinayagar Chaturthi. The dream project has a huge star cast which has Superstar Rajinikanth, Akshay Kumar. And the music is scored by AR Rahman under the banner of Lyca Production. The teaser launch announcement poster said that the teaser will be launched in 3D. 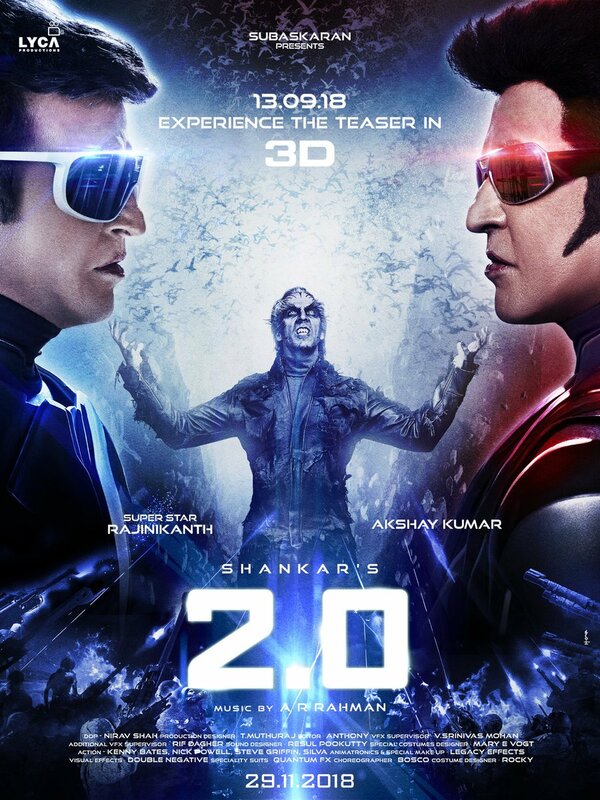 There was confusion among fans on how to watch the teaser if it is going to be launched in 3D and other similar questions were on social media regarding the 2 Point 0 teaser. To clear all doubts, the team of 2 Point 0 released a press note on Sunday. The note read, “The teaser will release simultaneously in 3D and 2D. We are planning to screen the teaser in 3D across India and Abroad in select THEATRES. We will release the 3D THEATRE List in India over the next few days! A lot of hard work and effort is going on to ensure you all Watch the teaser in 3D as the Magnum Opus 2Point0 is FULLY SHOT in 3D. Gear up for 2 Point 0 teaser in 3D & 2D.. coming to you in just 4 DAYS"
The movie is set to hit the screens on November 29th.